Want a fancy electronic companion that’s also a stylish phone? Oh and make it elegant enough to suit a business woman… That’s tough! 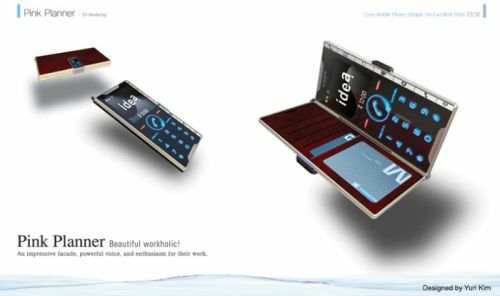 The Pink Planner mobile phone concept might be the device to fit the workoholic ladies’ taste, offering them the needed productivity features. Designed by Yuri Kim, the Pink Planner phone features a touchscreen and impressive facade. It can open up like the good old Communicators and it comes with a special “wallet design” that allows you to store business cards.